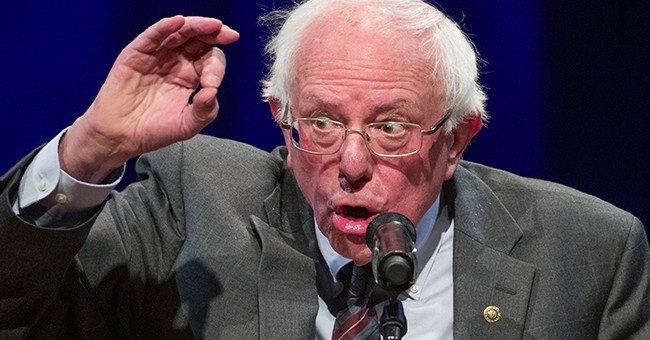 Although the Democratic National Committee (DNC) refused to allow Fox News to hold debates with any of the 2020 Democrats, Sen. Bernie Sanders (I-VT) agreed to a town hall with the conservative network. During his town hall on Monday, Sanders, naturally, failed to say whether or not he himself would pay the wealth tax he has long championed. Instead, he deflected. Martha MacCallum: You said you don't agree with 70 percent. So what would your number be? Bernie Sanders: In the campaign, in 2016, we talked about 52 percent. MacCallum: Alright. So 52 percent. So would you be willing to pay 52 percent on the money that you made? You can volunteer. You can send it back. Sanders: You can volunteer too. MacCallum: But you suggested that's what you suggested that's what everyone in your bracket should do. Sanders: Martha, why don't you give? You make more money than I do. Why don't you give? Bret Baier: And she's not running for president. Sanders: And we're going to fight for a wealth tax. And we're going to demand that we end the absurdity, where major corporation after corporation. You know what? This tax bill– In this tax bill that you are defending, families like the Koch brothers– families like the Koch brothers get billions and billions of dollars in savings. That is absurd. Trump wants to repeal the entire estate tax. Huge tax breaks for the billionaires. 1) Bernie can't answer whether or not he'd pay the very tax he'd propose. It's convenient, isn't it? He's all about taxing everyone...but not himself. 2) He failed to mention that the majority of Americans actually paid less taxes over the course of the year. Their tax refunds were smaller but they saw the tax breaks in their paychecks throughout the year.